For flexible applications - robust and easy to handle! 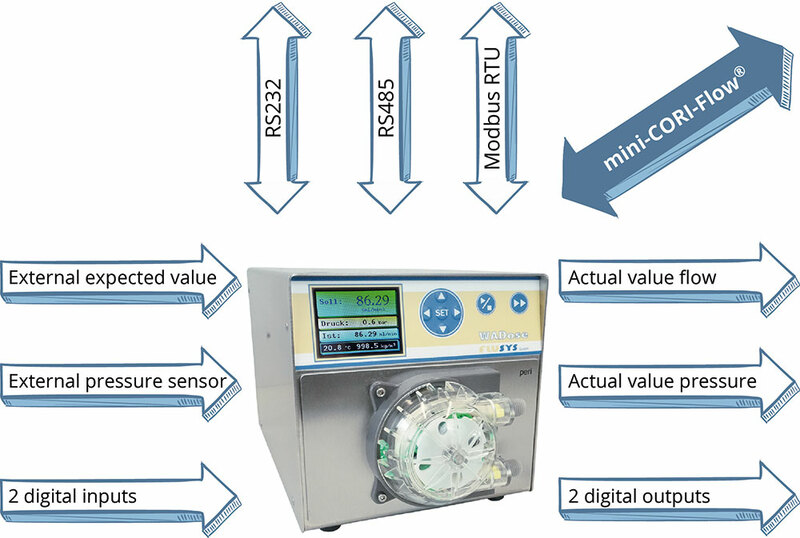 The WADose PERI is an intelligent peristaltic dosing pump for dosing tasks with liquids in technical centres, laboratories, for testbeds and production. The special benefit of the pump is that the delivery tubes are flexibly exchangeable and can be modified to suit almost any medium. For specially aggressive media, a variant without connection pieces, with a continuous, directly inserted tube, can be used. 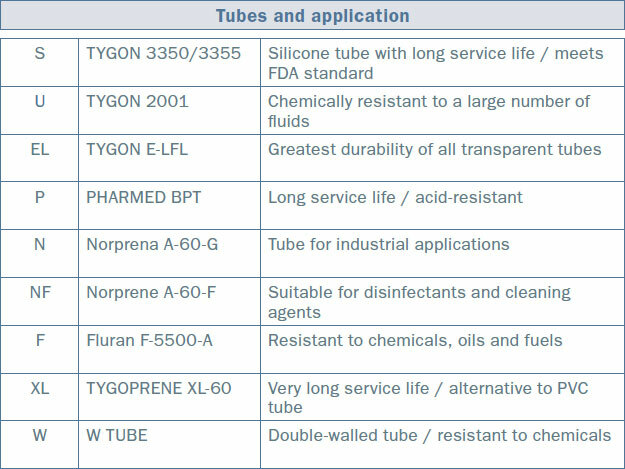 This variant excludes possible leaks and can also be used for FDA-compliant processes with the correct tube material. Furthermore, the pump is very easy to maintain and the low-shear delivery principle also makes the pump suitable for sensitive media and media that are difficult to handle. The sturdy pump operating principle even allows media with solid particles to be transported. An active backlight in the pump head uses various colours to indicate the current operating status, even at large distances. In order to operate the pump with aggressive media or to suit changing media, various tube types are available. Various pump heads are available, to quickly change between media or to change the range of the flow rate. Three are specified in detail here. Others are available on request.